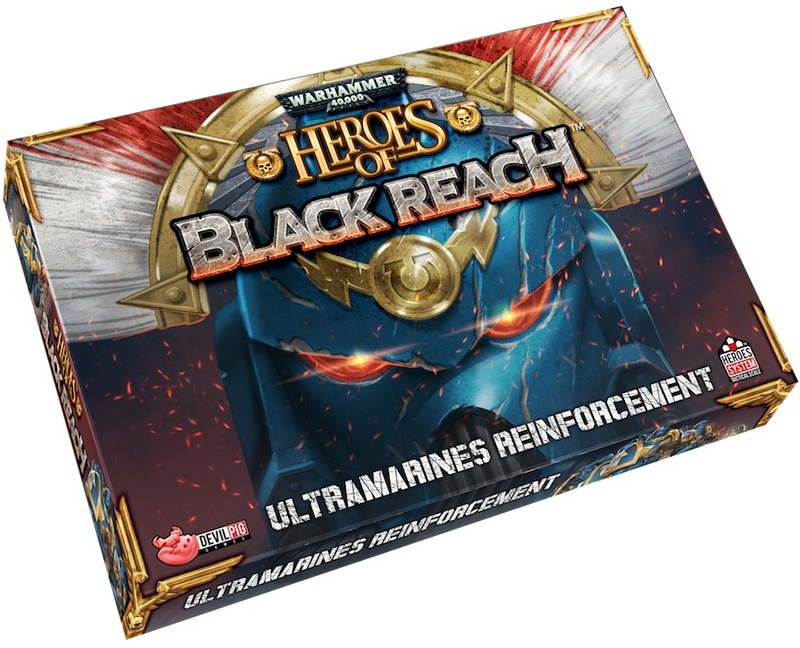 A new way to play in the Warhammer 40k universe is on its way – check this out! 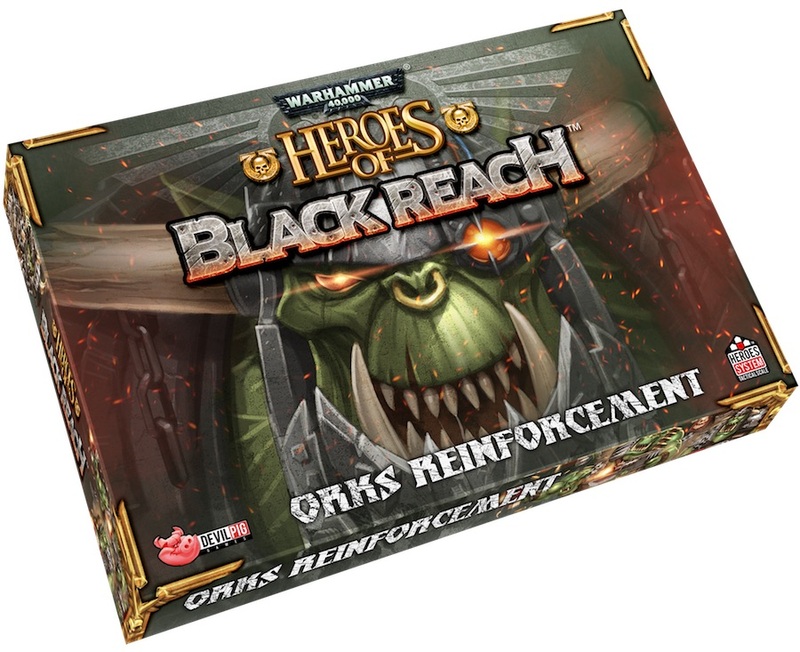 By the time Captain Sicarius and the Ultramarines taskforce arrived on the hive world of Black Reach, Waaagh! Zanzag controlled most of the northern continent. 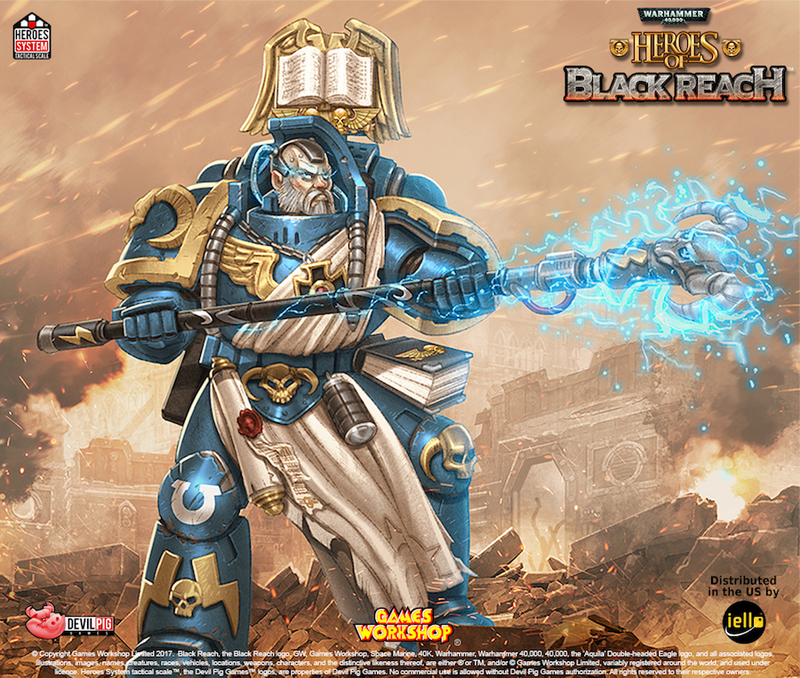 It is your duty to take command of the Ultramarines second company and wipe out the Orks from the planet. 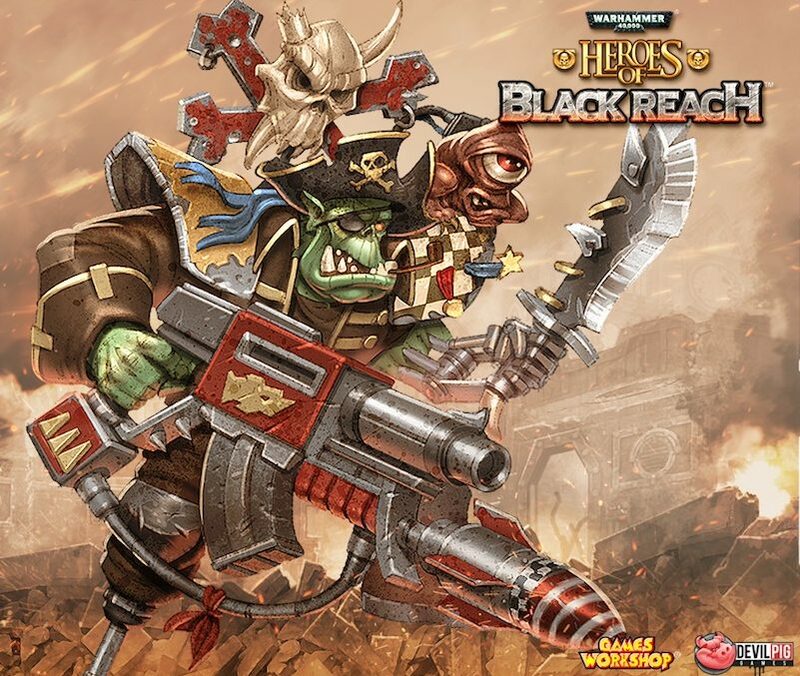 But maybe you’d rather listen to the rage within you and lead the Waaagh! to rampage this imperial world. 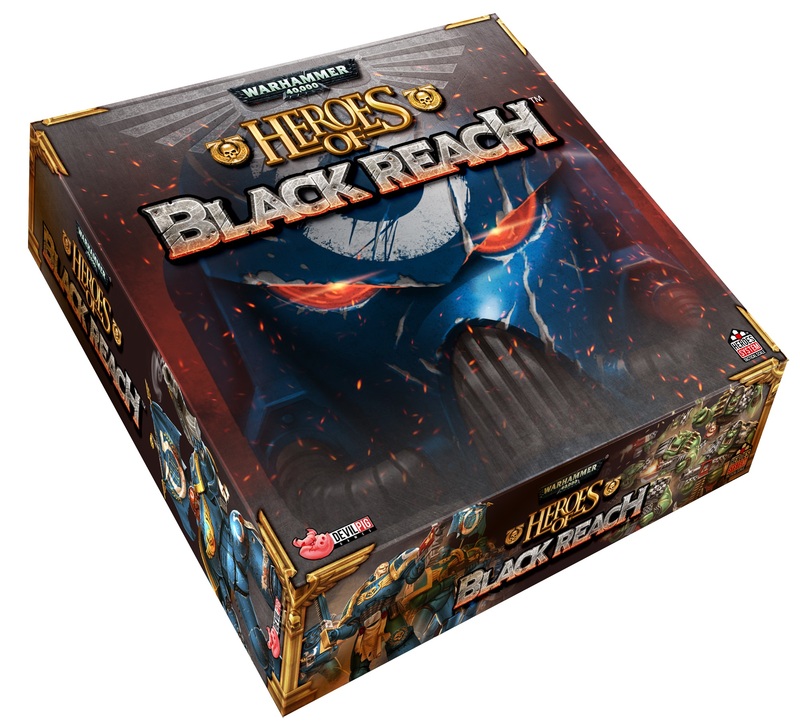 Heroes of Black Reach is based on Devil Pig Games’ Heroes System Tactical Scale system. 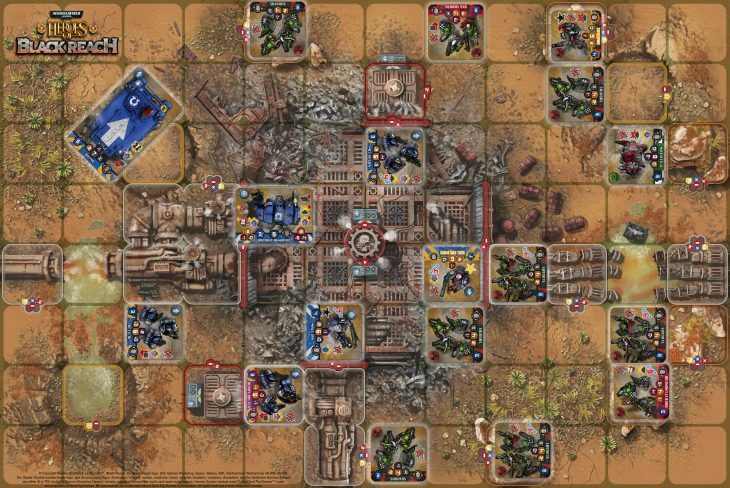 Players set out tiles to create the game board for heroes and units to battle on – you can scale games up or down depending on how long you want to play, and how complicated you want the game to be. Armies are created using an agreed upon number of points – just like traditional 40k. Unit tiles have stats for movement, bonuses, abilities, and other quick references on them to help players keep track. Each player gets a deck of cards that are used to make the game more dynamic – adding twists. Pre-Order Today to Get Free Units & Heroes!